Scientists at the Regeneron Genetics Center, along with investigators at Geisinger, have discovered a gene variant associated with a significant reduction in the risk for chronic liver disease, paving the way for potential new treatment options, according to study findings released today in the New England Journal of Medicine. “We have discovered a genetic change that alters the function of a liver protein, leading to protection from some liver diseases,” explains Tooraj Mirshahi, Geisinger associate professor in the Department of Functional and Molecular Genomics, and one of the study’s co-authors. “This is exciting news because It means that future therapies that mimic the effect of this genetic change could have the same protective effect against liver disease,” says Mirshahi. Chronic liver disease and cirrhosis are leading causes of mortality in the United States, accounting for over 38,000 deaths in 2014. The variant, or mutation, in question causes the loss of function in the HSD17B13 gene. People with two copies of this variant – one from each parent – have a 73 percent lower risk of alcoholic cirrhosis of the liver and 49 percent lower risk of non-alcoholic cirrhosis than do individuals with two functioning copies of the gene. The individuals also had lower risk of other types of liver diseases, including some that progress to advanced or severe stages. The study used DNA (exome sequencing) data from 46,544 Geisinger MyCode Community Health Initiative participants and their associated electronic medical records. Additional data was gathered from the University of Texas Southwestern’s Dallas Heart Study and the Penn Medicine Biobank. Finally, liver tissue samples collected during bariatric surgeries from Geisinger’s Obesity Institute helped to confirm the link. Geisinger’s MyCode is a precision health program enrolling patient-participants across Pennsylvania and New Jersey. Participants donate their DNA through a blood sample for research and consent to researchers accessing their sequenced DNA data and electronic health records, providing a powerful and rich data set for genomic and precision health research. The research program is the largest healthcare system-based project in the world that is returning medically relevant results to participants and conducting extensive research. To date, more than 190,000 participants have enrolled and more than 500 have received medically relevant results. “The discovery of this gene variant and publication of this important study in the New England Journal of Medicine is another example of the benefits of our historic collaboration with Regeneron and of Geisinger’s long-standing investment in electronic health records and its research program,” said David H. Ledbetter, Geisinger executive vice president and chief scientific officer. Based on these findings, Regeneron today also announced a collaboration with Alnylam Pharmaceuticals to discover RNAi therapeutics for this gene target. Geisinger Health System is an integrated health services organization widely recognized for its innovative use of the electronic health record and the development of innovative care delivery models such as ProvenHealth Navigator® and ProvenCare®. As one of the nation’s largest health service organizations, Geisinger serves more than 3 million residents throughout 45 counties in central, south-central and northeast Pennsylvania, and also in southern New Jersey with the addition of AtlantiCare, a National Malcolm Baldrige Award recipient. The physician-led system is comprised of approximately 30,000 employees, including nearly 1,600 employed physicians, 13 hospital campuses, two research centers and a 551,000-member health plan, all of which leverage an estimated $10.5 billion positive impact on the Pennsylvania and New Jersey economy. Geisinger has repeatedly garnered national accolades for integration, quality and service. 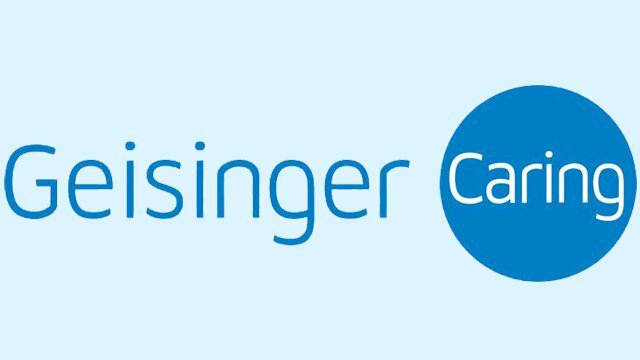 In addition to fulfilling its patient care mission, Geisinger has a long-standing commitment to medical education, research and community service. For more information, visit www.geisinger.org, or follow the latest Geisinger news and more on Twitter and Facebook.